The final piece of this week's news jigsaw fell too late for me to fit it into Thursday's portmanteau post. This is the first chance I've had to write about it. Wilhelm wrote at some length about the possible reasons for Pearl Abyss's acquisition of CCP (which I only learned this week is an acronym for Crowd Control Productions). So did Nosey, who posited my favorite explanation for the unexpected move so far - improved access to the vast Chinese gaming market. I have no dog in that fight although I'm very happy to watch. I do, however, have a major interest, both emotional and practical, in the current and future stability of Daybreak Games, publisher of two of my favorite MMORPGs, EverQuest and EQ2. Unlike Nosey and Wilhelm, I have neither the academic background nor the personal experience to parse these kinds of financial transactions. I have worked for a couple of businesses that were acquired, bought or taken over and I've seen how that changed both internal practice and external presentation, but I don't think any of that is particularly relevant. Anyone can google, though, and anyone can read Wikipedia. The entry on Dr. Patrick Soon-Shiong, the billionaire behind the "strategic investment" leading to the "joint venture" between NantWorks and DBG, is intriguing to say the least. Dr. Soon-Shiong has a background worthy of one of the current flurry of highly-popular novels examining the Asian-American experience. He was born in South Africa to Chinese parents who had fled the Japanese occupation in WWII. He grew up in South Africa and got his first degree there before moving to Canada for his Master's. From there he moved to the U.S., where he went on to found the bio-tech firm that eventually made him America's 47th richest person, with a current estimated worth of $9b. None of which appears to explain why he would want to buy in to a relatively obscure company running a series of somewhat elderly and largely over-the-hill gaming franchises. Dig a little deeper into his extensive biography, though, and you find a considerable interest in both media and technology. Earlier this year he bought both the Los Angeles Times and the San Diego Union-Tribune for something over $500m. One might consider that buying newspapers in the current digital climate is not that far away from taking a financial interest in a gaming company whose products come from a bygone age. Perhaps it indicates nothing more than an interest in our recent cultural history and a desire to preserve it. The Doctor isn't just a nostalgist, though. Nor is he "just" a bio-tech entrepreneur. For the last decade much of his drive seems to have been directed towards the new digital world, particularly the infrastructure that supports it. His NantHealth company focuses on "fiber-optic, cloud-based data infrastructure to share healthcare information". NantWorks, which seems to be the catch-all holding company for all the Nant projects, is also the company that has now taken an interest in Daybreak Games. It has a stated mission to "converge ultra-low power semiconductor technology, supercomputing, high performance, secure advanced networks and augmented intelligence to transform how we work, play, and live." Now we're getting somewhere! NantWorks, curiously, is also the only one of the many Nant-prefixed operations listed in the wikipedia article not to have a hyper-link to a Wikipedia entry of its own. It does have a website. There are nine Nant variants listed there (so far), handily laid out on the main page, each with a brief mission statement. The ones on the right are all directly concerned with healthcare. The ones on the left seek to cast their nets far wider. NantStudio ("Sharing knowledge through education and storytelling") owns and operates "The only next generation soundstage easily configurable to both traditional and virtual production with a pre-lit 360° green screen and compatible with real-time compositing". It's "Conveniently located in Culver City" which is near L.A. The other relevant Nant would seem to be NantMobile, which "provides technology solutions that harness powerful image recognition technology with artificial intelligence to create immersive augmented reality experiences". At this point I think it's becoming clear that Dr Soong-Shiong does indeed have interests that overlap with those of gamers in general and Daybreak Gamers in particular. According to the DBG Press Release, the intent is to co-develop a "Next Generation Game Publishing Platform" which will "Establish E-Sports Leagues Across Multiple Games". All that unecessary capitalization is because I ripped the quotes from headlines, by the way. It also involves the creation of yet another Nant, "NantG Mobile, LLC, which has been formed to develop and publish mobile versions of Daybreak’s current games – H1Z1 and EverQuest – and to build and publish video games across all platforms". Presumably the "G" stands for Gaming. Let's hope so, anyway. There's more that I could excerpt and comment on but I think that's enough to give the general idea. This does not appear to be either a cold financial purchase for arcane accounting reasons we'll never know nor a Curt Schillingesque rich man's whim. On the contrary, it appears to be a move that involves #2 on Wilhelm's list : "Entering a Market". Possibly with a smidge of #3: Tech of Expertise. What I definitely don't think has much to do with anything is #4 : Brand. Yes, H1Z1 may be the "first-ever standalone battle royale game" but being first isn't what counts. PUBG and Fortnite ate H1Z1's lunch long ago and even PUBG doesn't have the kind of brand recognition that gets your name banded about by politicians and used in banner headlines aimed at terrifying middle-class parents. Only Fortnite has that. As for EverQuest, much though I love Norrath I'd dispute whether the EQ name even has brand recognition among MMO gamers any more. 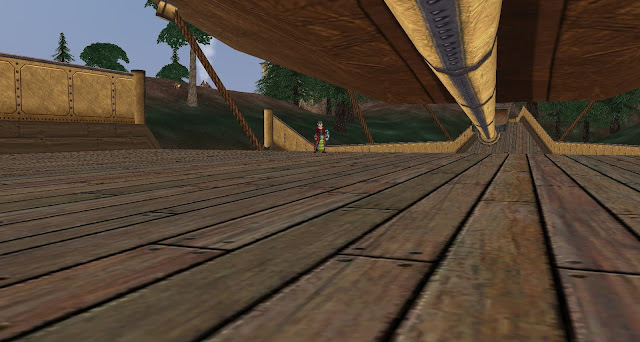 Try starting a discussion about EverQuest in General chat in your MMORPG of choice and see who bites. Most players haven't even heard of it, unless they have some vague recollection of the EQNext debacle. You might as well try talking to Drake fans about The Last Poets. All of which puts me in an odd position. I can see why this latest injection of capital is potentially far more beneficial to Daybreak than the purchase of SOE was to Columbus Nova (who, as we now know, never bought anything, ever, wasn't us guv, honest!). Dr Soong-Shiong or his people evidently have an actual, material interest in what DBG does, namely develop and run multiplayer games. That's certainly not something that could be said of Columbus Nova. We all struggled back then to understand why whoever it was who'd bought SOE had done so, or what they thought they might get out of it. It seemed that about the only explanation was that someone thought the EverQuest and H1Z1 brands were going to appreciate in value. H1Z1 was a hit and EQNext was still in development. When EQNext got canned for being the pipe-dream it always was and PUBG executed a headshot on H1Z1 it did look like the jig might finally be up. It wasn't. Instead, the games all trundled on. H1Z1, like a true zombie, staggered back to its feet and lurched towards a minor comeback courtesy of the PS4. The EQ duo acted like nothing had happened, which, from the perspective of the astonishingly insular and blinkered playerbase for both games, it pretty much hadn't. Their reduced teams just kept pumping out content and everyone carried on being as grumpy about it as they had been for decades, while still paying their subs. As for DCUO, well, for all intents and purposes it might as well be owned by a different company altogether. And then there's Planetside2, which just got a new map and, rumor has it, may spawn Planetside3 some day. Meanwhile we supposedly have mobile versions of H1Z1 and EverQuest to look forward to. 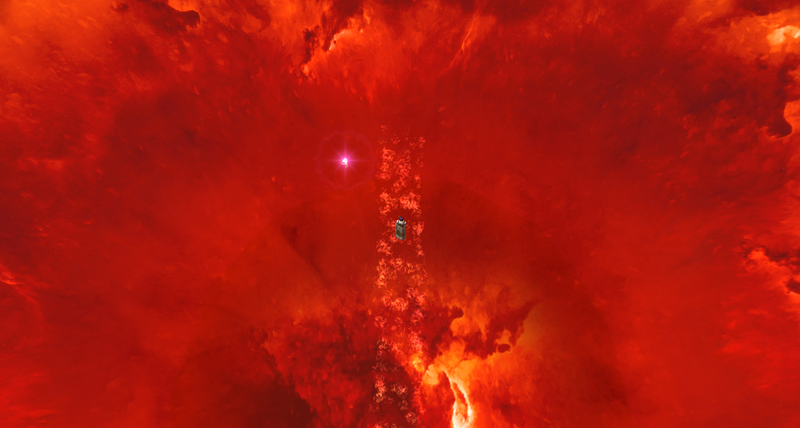 Possibly with ARG and VR versions now NantStudio is in the mix. Not to mention that promised development "in video games across all platforms". We can't rule out a PC EQ3. All of which makes me even more inclined to believe the rumors from earlier in the year had substance. 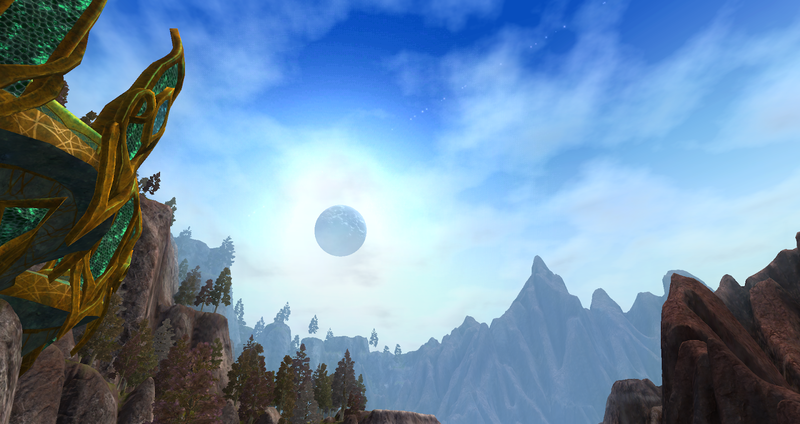 I now expect to hear confirmation that this year will see the final expansions for both EQ2 and EverQuest. I would expect the EQ games to continue in something more than maintenance mode but less than full development, adding small content drops in updates or at holidays and anniversaries, as they have been doing for the past few years between expansions. That's the sort of thing that can be handled by a very few developers or designers, allowing the rest to be moved to new projects. I'm confident we will see an EQ-branded Mobile game of some description. Given the lack of brand recognition in any other field, it seems pointless for any such game to be anything other than some kind of MMO or RPG. Whether it will be any good or not is another matter, but Villagers and Heroes amply demonstrates that a full-feature MMORPG can work on mobile devices. A new EverQuest game - an EQ3 - on PC seems a lot less probable. Also, oddly, less attractive. If one does come, it will undoubtedly use action gaming controls, which means almost no existing or former EQ or EQ2 players will go within spitting distance - other than actually to spit at it. It will be something I'll dabble in at most, I imagine. As usual, for the time being it's all about waiting. Wait to see what happens to the existing games. Wait to see how that works out for the players. Wait to see what new projects are announced. Wait to see if they ever happen. Wait to see if they're any good. As is my wont, I am cautiously optimistic. At the very least this seems to augur better times for the games and the franchises than either fin-de-siecle SOE or the immediate aftermath of the sale. DBG have managed the games well, particularly in the last couple of years, and this would seem to remove the immediate risk of either a fire-sale or financial difficulties. Watch this space for further developments and in the meantime, keep on keeping on. Man, I hope you're right. 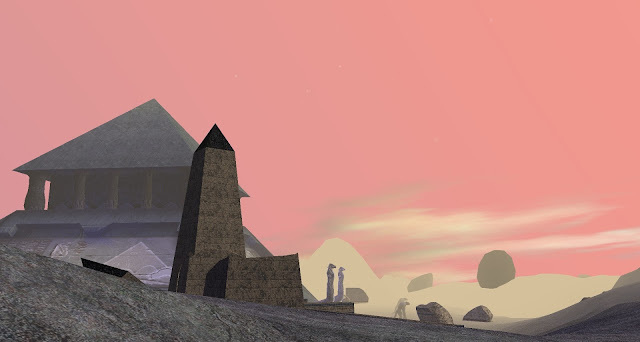 Yes, I think EQ2 is in a somewhat precarious position long term - or rather its fans are. EverQuest already has a robust emulator/private server scene that will probably outlast any legitimate version. It's also quasi-official, which helps. To my knowledge, however, there has never been a successful EQ2 Emu (a few have been attempted) and I would be surprised if there's both the will and the skill to create one. 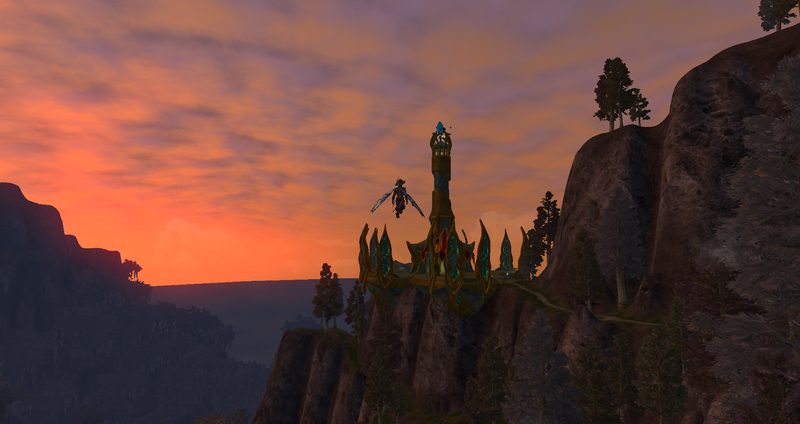 That said, there's nothing like the sunset of a favorite MMO to spur creativity. The Vanguard emulator is a masterpiece and it would never have happened if VG hadn't closed. Any MMO could close at any time but I would like to think EQ2 has a good few years left. If there's one thing you can say about EQ and EQ2 players its that they know what they like - and they like EQ and EQ2 and often not much else. So long as DBG are willing to keep a server up I think there will be enough people left to make it worth their while, even if they don't really add any more content. I don't know the details but my interpretation of your article is different than my interpretation of MOP's article. I.e., from yours, I get the idea that it was the doctor investing the money in DBG. MOP sounded to me like the investment was in a joint venture. I.e., the new sub had mobile and H1 nom-du-jour and EQx for the PC was part of the second Ark and sent off with the telephone sanitizers. If it was a straight-up investment, then there could money, perhaps millions in DBG that could be spent on EQx for PC. If all the investment is in the JV, then there could be no new cash in DBG, just a recognition that the stuff in the main DBG is not as valuable as the products in the JV. I am not sure what actually happened. It's all a bit vague. As I read it, there's a Joint Venture on specific projects only... but what those projects are is unclear. I don't think the Dr. is just investing in DBG and letting them decide what to do with his money. The press release is very specific on developing a new platform for eSports and on developing and publishing mobile versions of H1Z1 and Everquest. Where it becomes very hard to interpret is when it says they will also "build and publish video games across all platforms". That pretty much covers anything you can think of, from brand-new IPs on iPhones to AAA MMOs on PC. There's really not a lot you can predict from that so as usual we're just going to have to wait.